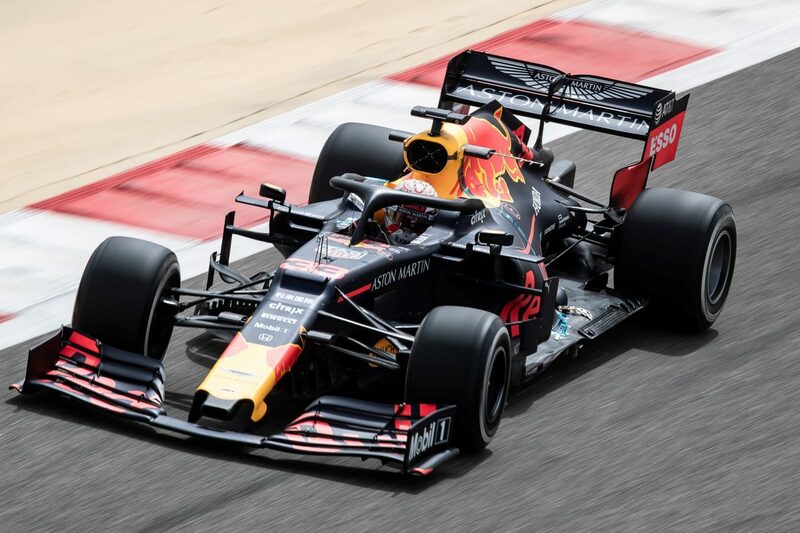 A late effort from Max Verstappen saw the Red Bull Racing driver take top spot from Mick Schumacher on the first day of Formula 1 testing in Bahrain. Verstappen clocked a 1:29.379s with five minutes remaining in the day on C3 tyres which took him well clear of Schumacher and Lando Norris. Schumacher was eighth fastest during a long wet period before he took his Ferrari to a 1:29.976s on C5 (softest) tyres during the final 90 minutes when cars got back on-track. There was a shower during the third hour of running before more rain saw drivers stay in the pits for around four hours after no teams opted for anything other than slicks in their tyre allocation. As such, Norris, who was sharing a McLaren with Carlos Sainz, only clocked up 22 laps as he finished the day in one of two MCL34s in the field. Sainz ended up ninth, setting his best time of 1:32.059s on C2 tyres, while Fernando Alonso was 11th on his F1 return while testing for Pirelli. Romain Grosjean (Haas), Alexander Albon (Scuderia Toro Rosso), and Lewis Hamilton (Mercedes), like Norris, set their respective fastest laps on C3 tyres as they filled fourth through sixth respectively. Grosjean’s personal best of 1:30.982s was in fact the benchmark prior to the long rain delay. Daniel Ricciardo was seventh fastest on C4 tyres in the Renault. Lance Stroll’s Racing Point car brought a slightly early end to the day when it stopped with a couple of minutes left to run, at which time the Canadian was eighth fastest. Antonio Giovinazzi (Alfa Romeo) rounded out the top 10, with testing to conclude from tonight (AEDT).